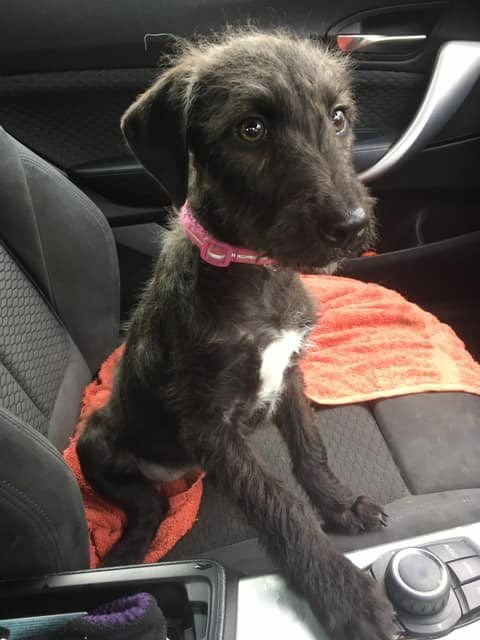 Annie is a 4 month old Whippet cross Bedlington cross Patterdale who is being fostered in Crewe, Cheshire. Prospective owners need to research these breeds to see the traits that Annie may display as she gets older. These are an active mix of breeds and intelligent so she needs owners that will put the time into training her and keeping her stimulated to avoid boredom. 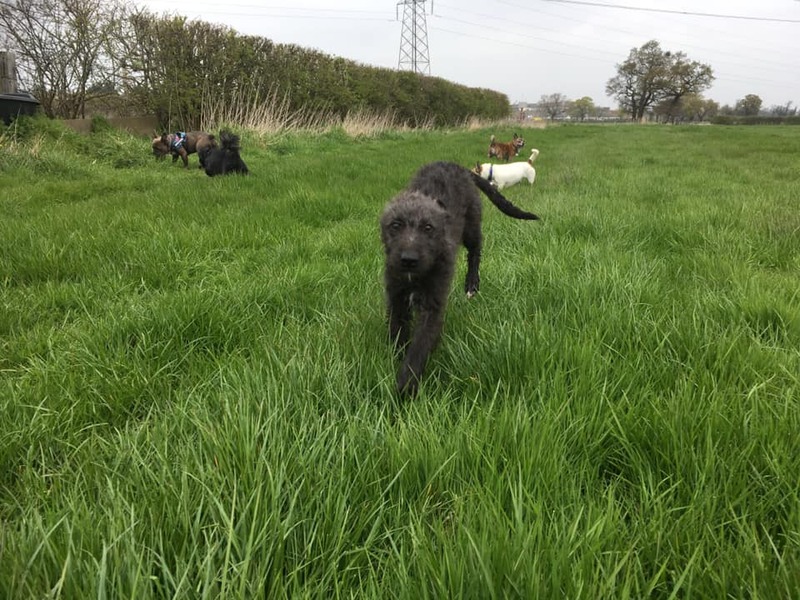 She is very whippet like after exercise and loves to lounge on her fosterers lap, but before a walk she is very bouncy and into everything so new owners will need to keep her active as she gets lead trained. 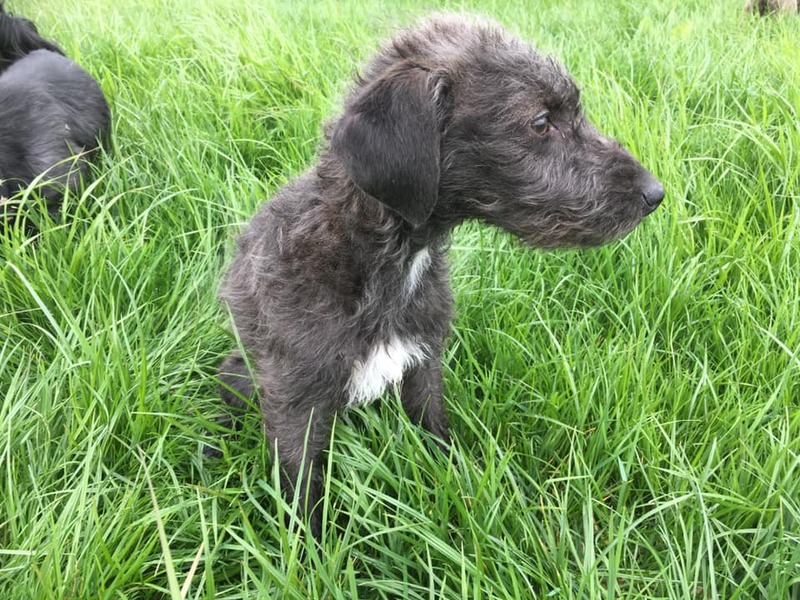 Annie is a lovely puppy who is sociable with all humans and very happy to interact. She loves human contact and cuddles/grooming. 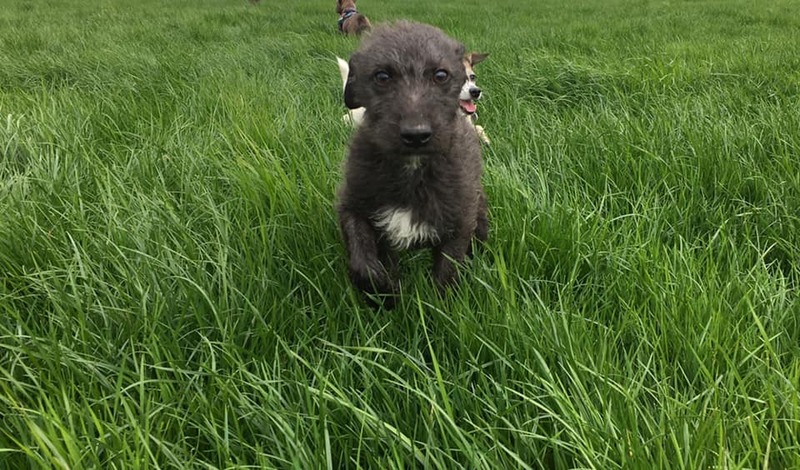 Annie is a bouncy puppy so would suit older children as has sharp puppy teeth. Annie is such a waggy tailed puppy, she bounces on her back legs when you come back home and is always happy to be cuddled. Annie is a typical puppy wanting to play with all dogs. She can be a little over the top initially but does respond to dogs telling her off and is much calmer around the resident dogs now she has settled in. Annie is a puppy full of character and she loves to run and play with the resident dogs. She will curl up with the older ones at night and play games with the younger ones during the day. Annie lives with a cat and two parrots and is totally fine. Annie is an active intelligent mix of breeds so needs continued training in basic puppy commands and socialisation. Annie is left for a couple of hours with no issue. She is an active puppy so would benefit from a home with people there the majority of the day. Annie is a puppy so will chew when left unattended or bored, but given her mix of breeds and age this is something that will decrease as her activity increases. She is a very intelligent puppy and sits when asked. Annie has not been out yet. Annie needs a home with experience of the breed mixes Annie is. She needs a home that is looking for an active dog that will learn quickly and be a loyal member of the family. 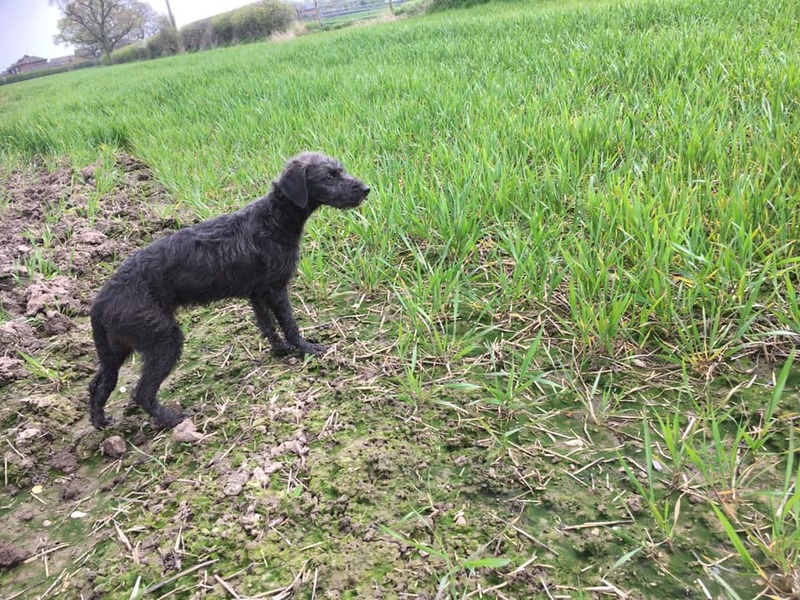 A family that is home the majority of the day, and are prepared to give Annie time to settle into a new routine with patience when lead training and continuing house training. Annie is a lovely puppy with so much character and she needs a family that will give her lots of fun in return. Annie is chipped, vaccinated and up to date with her flea and worming treatment. Annie has not been neutered so it is a condition of adoption that her adopters arrange to have her neutered as soon as she is old enough. A discount voucher is available and follow up checks will be done. Potential adopters will be expected to travel to meet her in her foster home in Crewe. If you are interested in adopting Annie please read about our rehoming process and complete a Pre-Adoption form ( link here ) and one of our adoption coordinators will contact you for a chat.